We understand that during your life you might face complex and important decisions about your money and finances, like how to choose and use a credit card or how to determine if you can qualify for a mortgage. An important part of our mission is to empower you to take control of your financial life by providing resources to help you understand how different financial products and services work. 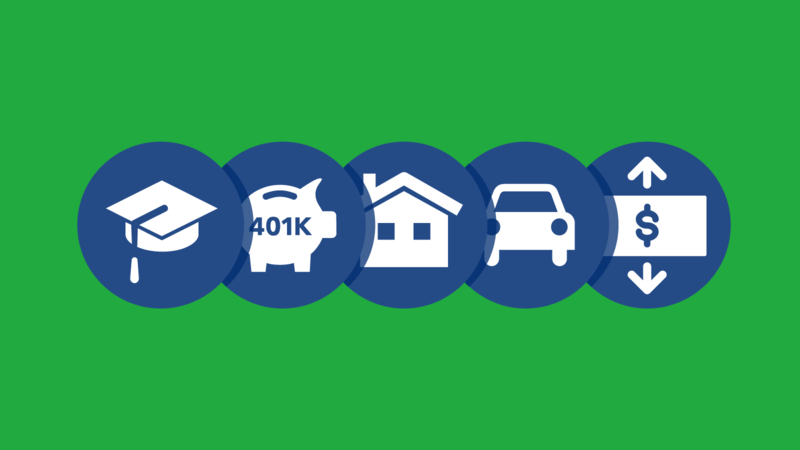 We’ve built tools and resources to help you ask questions, plan ahead, and act on those plans – resources that help you navigate everyday financial problems and achieve major financial goals, like owning a home or planning for a secure retirement. AskCFPB – This is a collection of common consumer financial questions and answers that cover topics from money basics to credit reports to getting a mortgage. AskCFPB is also available in Spanish. Submit a complaint – We know that sometimes you have issues with a financial product or service and it’s hard to solve them on your own. That’s why we provide you an opportunity to submit a complaint to the CFPB. You can submit a complaint to us about your financial problem or issue. We’ll send your complaint to the company you are having an issue with and work to get you a response. You can also call us at (855) 411-2372 to submit a complaint. We’ve handled nearly one million of your complaints since we opened our doors five years ago. Money As You Grow – Building financial skills during childhood contributes to success as an adult. This section of our website aims to help parents and caregivers talk to their children about money with age-appropriate activities and conversation starters. Sending Money Abroad – For those with family or friends living abroad we want you to know your rights when it comes to sending money to loved ones in other countries. You need to know what you are being charged, that the money gets to your loved ones, and that fees and rates are made clear. Our information shows you what you should know before and after you send money and provides additional resources that can help you find the best service for you. Free brochures – We all face choices every day on a wide range of financial products and services. Browse through our free brochures, and read and download the ones that can help you with a money decision in your life. You’ll see short guides on topics from handling debt collectors to setting a money goal to opening a new bank account. Many are available in languages in addition to English. Planning ahead to make a big purchase or take on a new financial responsibility can save you money, time, and stress. Considering your options early gives you time to weigh the pros and cons, and helps you make informed decisions. We’ve created sets of tools to address some of life’s larger financial decisions like getting a mortgage or taking out student loans. Paying for College – Going off to college is filled with firsts, and for many people it’s their first major financial decision. It can be complicated to make decisions on how to pay for college, to compare financial aid and loan options, and then later to figure out how to pay the monthly student loan bill. This tool is here to walk you through your options and provide answers to many of your questions. Planning for Retirement – Many people look at retirement as a period when they can spend more time with family and friends, start new activities, or even travel. Social Security benefits are all or a part of many retirees’ income. We know that many people choose the age to claim their benefits based on limited information. Our tool helps you explore your financial choices when it comes to deciding when to claim your Social Security retirement benefits. The “Planning for Retirement” tool is also available in Spanish. Owning a Home –Owning a home is a dream for many people, but it can also mean borrowing a lot of money to make that dream a reality. Our suite of tools and resources guides you through the mortgage process and helps you consider what type of loan is best for you. Getting an Auto Loan – Our newest resource helps you take control of your auto loan. To help you find the best deal for you we’ve created a shopping sheet that will help you compare auto loans. Along with the worksheet, we walk you through the process from planning to closing the deal, including information on what’s negotiable. Managing Someone Else’s Money – Managing your own finances can be a daunting task, but many people in America are also managing money or property for someone else. If you’re acting as a financial caregiver, for example under a power of attorney or as a court-appointed guardian, we’ve created guides to help you understand your responsibilities. The guides also deliver resources and tips to help you protect your loved ones from fraud and scams. While these resources can help you through many of your financial decisions, we have many more. We have tips on preventing scams, information specific to servicemembers, students, older Americans, and much more at consumerfinance.gov.